I had an emergency request for a knit for which I need 100 g of fine BL singles. Soooo, this morning, I weighed out 50 g, carded and pulled it into roving, and weighed out 50 g more. Artie, the Muse, decided (right after this pic was snapped) that the ol’ fuzz box would make a fine bed. I caught her kneading away, purring to high heaven. Knowing just how fast Artie can make felt, I lifted her out and asked her to please find another fuzzy thing to knead. I closed the box and put it on the table in my studio. A while later, I walked back into the room, and there was Artie, lying on the box, one paw draped over the edge…with a “MINE” face on. I finally dared to interrupt her proprietary dreams, and set about spinning the yarn I need. Here is the first 25 g.
Had only half an hour to spin after lunch. Working on a winey single. I’ve spun about an ounce and a half of the four. Not quite sure which sock will get the winey treatment. Now, I have to leave to fiddle for a contra dance in Tampa. Let’s see if Ravelry is available yet! Imagine! 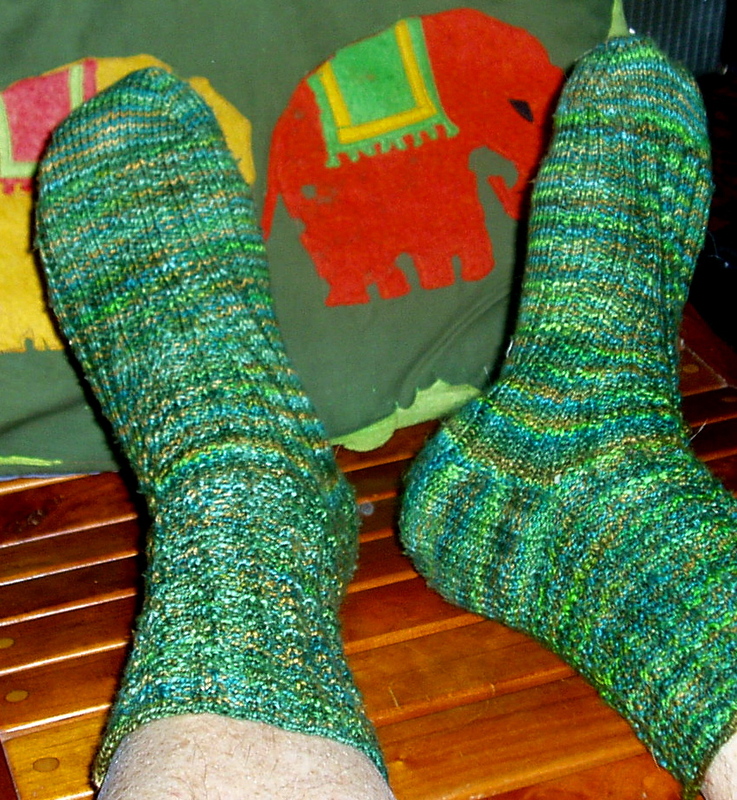 Ravelry in a pickle!